Uploaded to Wikipedia Commons by Rainer Theuer. Despite my very wide interests (my career with animals has, quite literally, spanned ants to elephants! 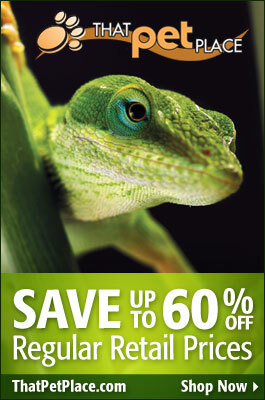 ), I’ve always been partial to newts and salamanders. I focused on them from my earliest days working for the Bronx Zoo, and had the good fortune to author two books on their care and breeding. 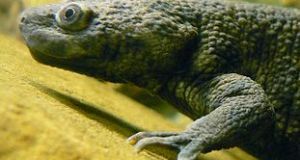 As pets and zoo specimens, they range from nearly impossible to keep to being among the longest lived of all captive herps (to age 50+, for the Fire and Japanese Giant Salamanders). The following points, drawn from a lifetime of working with these wonderful creatures in zoos, the field, and at home, are useful to consider before embarking on your amphibian-keeping venture. Note: The terms “newt” and “salamander” do not always correspond with taxonomic relationships. All newts may be correctly called “salamanders”, but generally we consider newts to be those species that spend most of their time in water and salamanders to be more terrestrial. However, the term “salamander” is also used for many completely aquatic animals, such as the mudpuppy and hellbender…so call them what you wish! As the care of different species varies greatly, please post below if you have specific questions, or would like a link to an article on a certain species. Fire Salamanders, Tiger Salamanders, Ribbed Newts and some others are often responsive to their owners, and will readily feed from the hand. However, they should be picked-up only when necessary, and then with wet hands. All amphibians have extremely delicate skin, and even microscopic tears will allow harmful bacteria to enter and cause havoc. Also, all produce toxic secretions designed to repel predators. The toxins of several North American salamanders have caused temporary blindness when rubbed into handlers’ eyes, and the ingestion of California Newts (apparently some sort of college ritual) has resulted in fatalities. Severe irritations are to be expected if these toxins find their way onto broken skin or mucus membranes. Obviously, this is a special consideration for those with young children at home. Well-cared-for newts and salamanders will reward you by exhibiting fascinating behaviors…but not if you disturb them with unnecessary handling! Newts and salamanders absorb water through the skin, and along with that water comes any associated pollutants. The most common of these is ammonia, which is excreted with the waste products. Most newts and salamanders are as or even more sensitive to water quality than are tropical fishes, since they absorb water over a greater surface area. Ammonia test kits, partial water changes and strong filtration are critical to success in keeping amphibians. Substrate needs the same attention as does water, as terrestrial species can be poisoned by ammonia-soaked moss or soil. No species will thrive long-term on a diet comprised solely of crickets. Earthworms can be used as a dietary staple for most newts and salamanders; it would be wise to locate a source and perhaps set up a colony before purchasing your pet (please see the article linked below). I’ve done well by relying upon wild-caught invertebrates during the warmer months. Moths, beetles, tree crickets, harvestmen, “smooth” caterpillars and a variety of others are accepted – usually far more enthusiastically than are crickets! Please see these articles for tips on collecting insects. Useful invertebrates that you can buy include roaches, butterworms, calciworms, silkworms, and sow bugs. Newts are simpler to feed than are terrestrial species, as nearly all (i.e. Red-Spotted, Crested, Paddle-tailed, Ribbed) will accept Zoo Med Aquatic Newt Food and Reptomin. These foods can anchor the diet, with live blackworms (sold in many pet stores as tropical fish food), guppies, chopped earthworms and small crickets being offered on occasion. Spotted Salamanders, Red Efts and other terrestrial species will accept live food only. Average household temperatures are too warm for the vast majority of newts and salamanders. Even those native to seasonally hot regions, such as the Spotted and Marbled Salamanders of the American Southeast or North Africa’s Fire Salamanders, live in cool micro-habitats (often below-ground). Sustained temperatures above 75 F (and, for many, above 70 F) weaken the immune system and increase susceptibility to bacterial and fungal skin infections. A cool basement is the ideal location for most species. If you must keep your pets in a warm room, several of the more tolerant newts should be considered. Please post below for further information. Ideally, the new amphibian owner will be interested in her or his pet for its own sake. But most of us also wish to see how it lives, what it does, and so on. Many amphibians are about as active as the infamous “pet rock”…and are nocturnal to boot! If you favor an active pet, consider a diurnal newt that forages for rather than ambushes its food, and keep it in a large, naturalistic aquarium. Six Fire-Bellied Newts in a well-planted 20 gallon tank will provide you with infinitely more to observe than will an equal number of Marbled Salamanders housed in a terrarium of the same size. Some nocturnal species may adjust to daytime schedules once they settle into their new homes. Tiger and Fire Salamanders are especially accommodating in this regard. Red night-viewing bulbs will greatly increase your ability to observe Slimy Salamanders and other strictly nocturnal species. 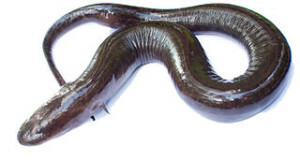 Next: The Two Toed Amphiuma: a Giant Salamander that Bites Like a Watersnake! i really like this article. Your points listed here helps hobbists to understand a lot when keeping newts. Your blog is different from other websites. Because you are interactive and always helpful to answer to even very novice and simple questions. And also you being an expert your advice is always spot on and accurate. Also I will note that one of my newts was an adept climber and actually found a way to climb up the air hose connected to the bubbler. One day I came home and had to search my room for it. I closed up the small hole in the top to make sure that didn’t happen again haha. i need some advice on some newts seen locally for sale below. Notophthalmus viridescens and Eurycea guttolineata. may i know if they are highly aquatic species like chinese Firebelly newts? also if they can tolerate high temps like 25-27C? are they highly aggressive like for example paddletail newts?